Size/Weight: Small to Medium/35 lbs. 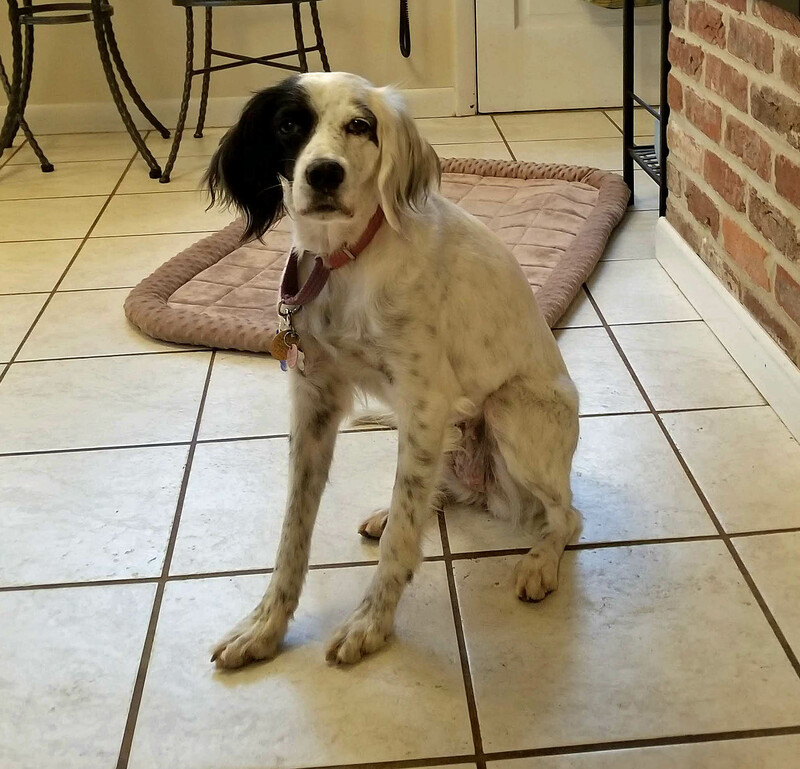 Socialization/training: After regaining her trust of humans, she now happily responds to “Annie” and “come” in addition to “no,” “sit,” and “wait.” “Stay” is a little more difficult for her. Annie has also learned to wait at the door for her paws to be wiped upon entering the house. Good with Children: Unknown, but expect absolutely no issues here. Good with Dogs: Yes; plays, romps, tug-of-war w/toys. She loves balls too, though she is only beginning to learn to “bring” it back. Her first foster family’s Irish is a big boy and they enjoyed each other's company immensely. 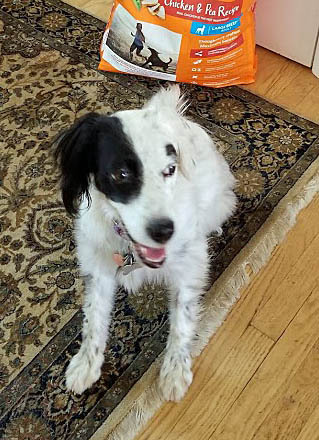 Since arriving at her second (and current) foster home on 12/1, she enjoys the same relationship with the resident dog Charlie (see video). House trained: Yes, not one potty accident since her arrival on 12/1 in the house. Will squat and go when given the “go potty” command outside, even when she’s doing something else at the time. Crate trained: Yes, when asked to go to her bed, she willingly goes into her crate. 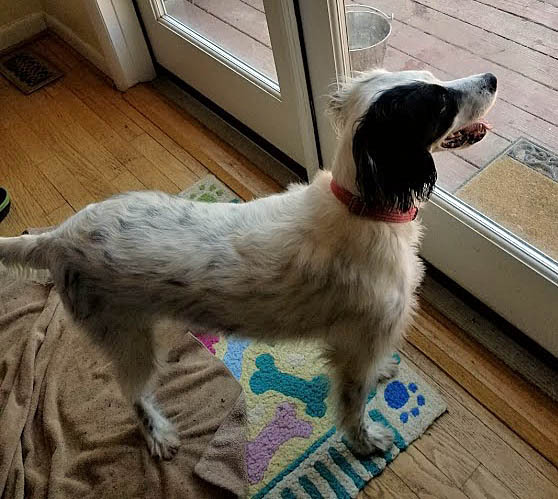 Leash trained: Annie’s first foster family stated that she is progressing but pulls constantly. Many of today's advances are forgotten the next day, to start again. While Annie is responsive to movements, and slight corrections while wearing her Martingale collar in the house, outside is another matter. Because of her high prey drive and need for constant correction, use of a halter is recommended. Activity Level: High energy runner, loves to run just for the sheer joy of it. 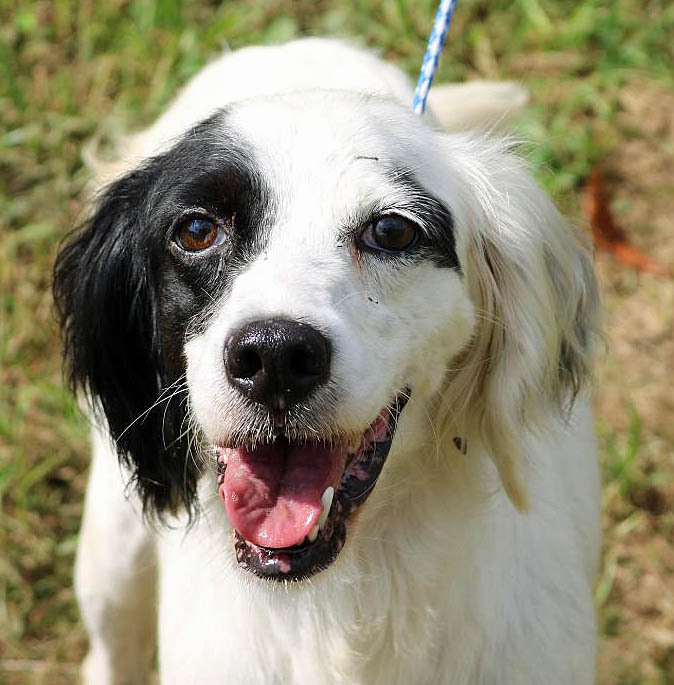 Playful, loves to run and play chase, sometimes playing keep-away with toys. Fence: Hard Fence REQUIRED, minimum 6' high. Invisible fence was ineffective in her first foster home, hence the need to move her to her current foster home. Behavior: A very bright, curious girl. She constantly seeks attention that may prove useful toward modifying undesired prey behavior. A snuggle bug who will nudge your arm to get more stroking on her head/body. Welcomes, in fact, craves human touch. A couch potato at night, who sometimes prefers to lay on top of you, instead of next to you. Allows bathing, ear cleaning, and nail trimming. Loves brushing. Medical History: All available records on-file w/A&BESR (ANNIE 18-137). 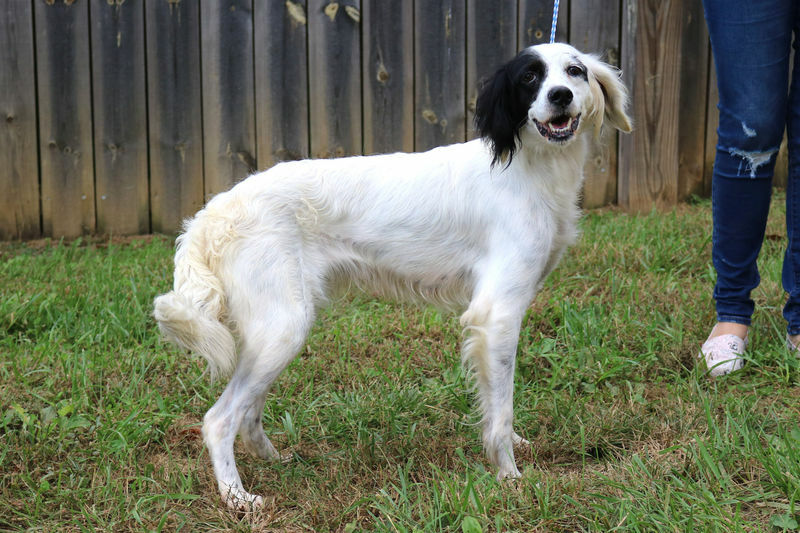 Spayed, up-to-date on vaccinations, and heartworm negative. She is healthy and behaves well with the vet and her staff. On monthly heartworm and tick/flea preventives. 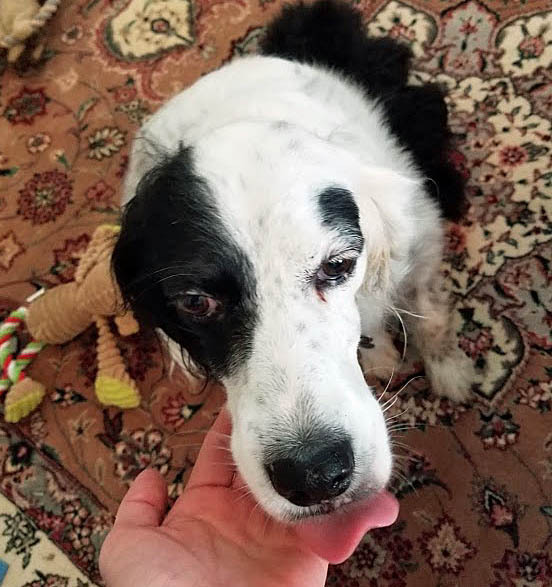 Foster Comments: Her first foster home said Annie has apparently been a real orphan most of her life; living by her wits, road kills and begging for food; mostly borne out in the behavior observed since we began fostering her on 13 Oct 2018. Very loving, but will need patience and consistency for training. She is so sweet and petite and a real sweetheart we will sorely miss. 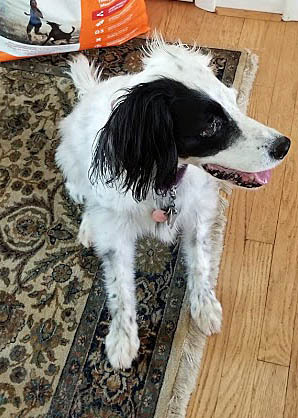 While we will never know more about her past, her current foster home observes that she is a very comfortable, confident and happy sweet, silly Setter.